While global rates of mental disorders in children have remained stable over time, the decline of infectious diseases will place mental disorders among the main causes of disease in children aged 4-15 years, according to a study published in the open access journal Child and Adolescent Psychiatry and Mental Health. Marie-Laure Baranne and Bruno Falissard at INSERM, France described the prevalence of mental disorders among children aged 5-14 years in each of the six regions of the World Health Organisation — Africa, the Americas, South-East Asia, Europe, the Easter Mediterranean, and the West Pacific Region. They found that even in emerging regions, the prevalence of mental disorders is high and constant over time. The authors found that in 2000 in the Americas and Europe, mental disorders ranked third among the causes of disability-adjusted life years (DALYs). DALYs can be thought of as lost years of healthy life due to disease or disability. They are a measure of disease burden — the impact of a health problem in a population. By 2015, mental disorders had reached second place as causes of DALYs in the Americas and Europe, while the impact of infectious diseases decreased. The change from infectious diseases to mental disorders as the main cause of DALYs in children is called an epidemiological transition. 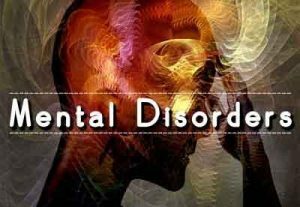 The impact of mental disorders on child health is going to become more important in the future as more countries make the transition from infection diseases to mental disorders as major causes of ill-health, according to the authors. In most regions, four mental disorders ranked among the 20 diseases associated with the most DALYs: conduct disorders, anxiety disorders, major depressive disorders and autism-Asperger syndrome. Among boys, the most common mental disorders associated with DALYs were conduct disorders, autism-Asperger syndrome, and anxiety disorders. Among girls, they were anxiety disorders, conduct disorders, and major depressive disorder. In addition to an effect over time, the authors also noticed an effect of income: regions with the highest gross domestic product were found to have fewer problems with infectious diseases and more problems with mental disorders. The authors caution that the calculation of DALYs relies on parameters that are only known as approximations and based on multiple sources of information containing potential errors that may introduce some uncertainty into estimates.